Easy Pinwheel Recipes – Pinwheel Cookie Recipe – Pinwheel Cookies Recipe | Cook Eat Delicious! 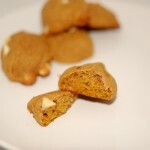 No matter how unspectacular a cookie tastes, the way it looks will make it spectacular. 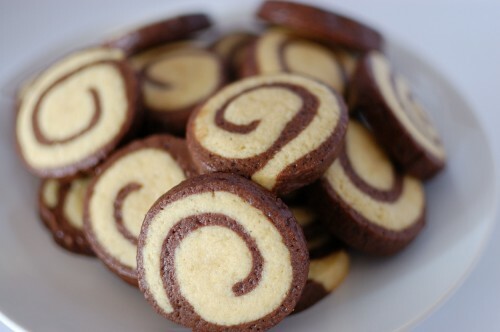 Case and point: Pinwheel Cookies. 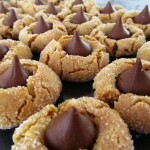 Don’t get me wrong, these cookies are delicious. 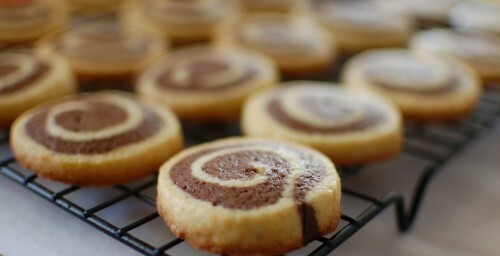 Simple vanilla and chocolate butter cookies. 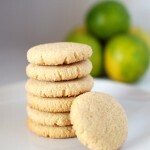 But there are no bells and whistles with these cookies. What makes them great is the presentation, the way they look. 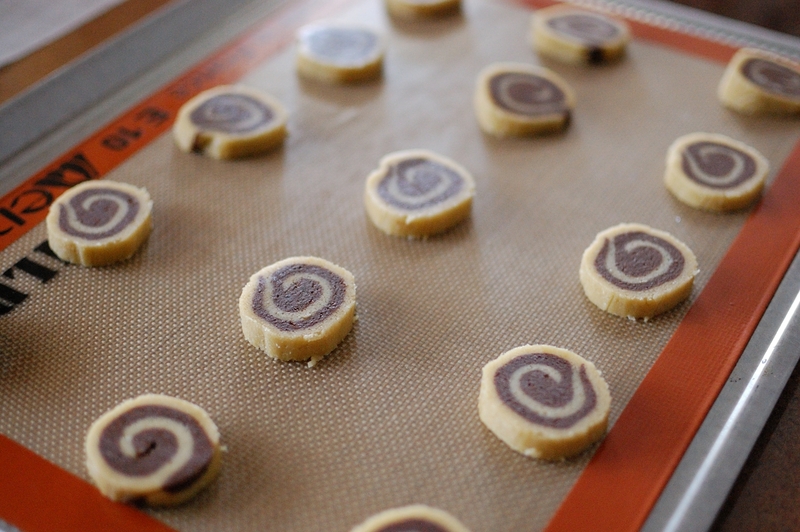 Pinwheels. 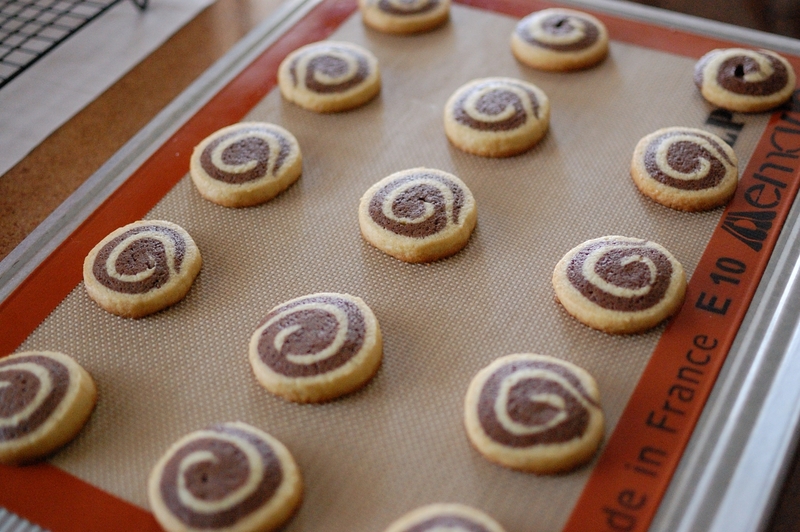 I have made these on numerous occasions and each time everyone is wowed, I mean, they can’t believe they are eating a homemade pinwheel cookie. “You baked these at home?” If I would have just baked up simple vanilla cookies or chocolate cookies nobody would have asked me that. But make a cool looking design and wham! You got some spectacular cookies. 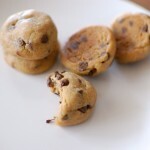 These cookies are made from an easy recipe and are just as easy to assemble. Delicious Rating: These are delicious butter cookies. My chocolate was perfectly balanced with the vanilla cookie but held its own as well. 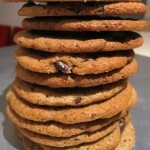 The cookies will have a firm bottom when baked but the insides are soft and almost, just almost, cakey cookie. But not really. I hope that makes sense! In a large bowl cream butter for 2 minutes until smooth with an electric mixer. Mix in sugar and beat for an additional 2 minutes. 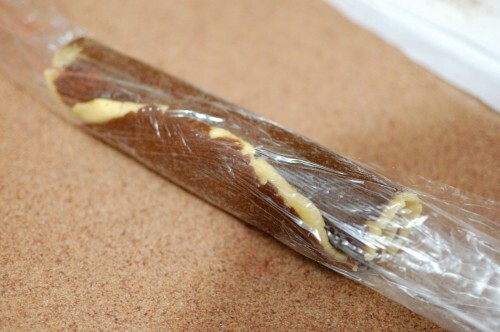 Add in egg and vanilla and mix until well combined. 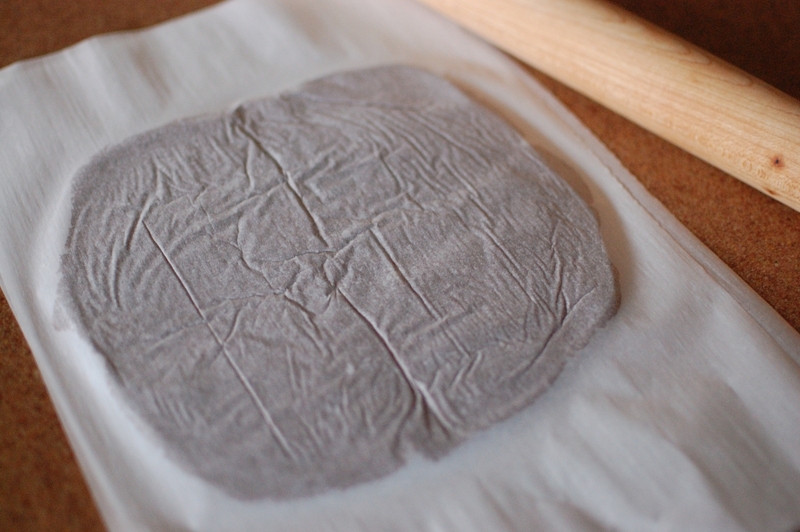 Sift in flour, salt, and baking soda and mix until just combined. Remove 2 cups of the dough and set aside. 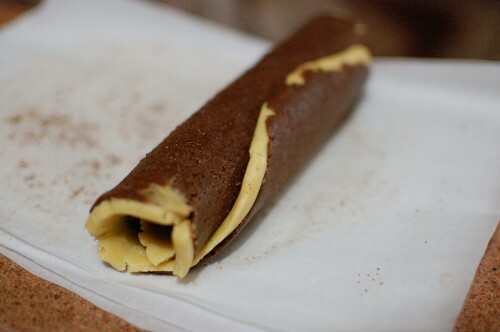 Add in cooled coffee and cocoa powder to remaing dough. Mix in melted chocolate until well combined. 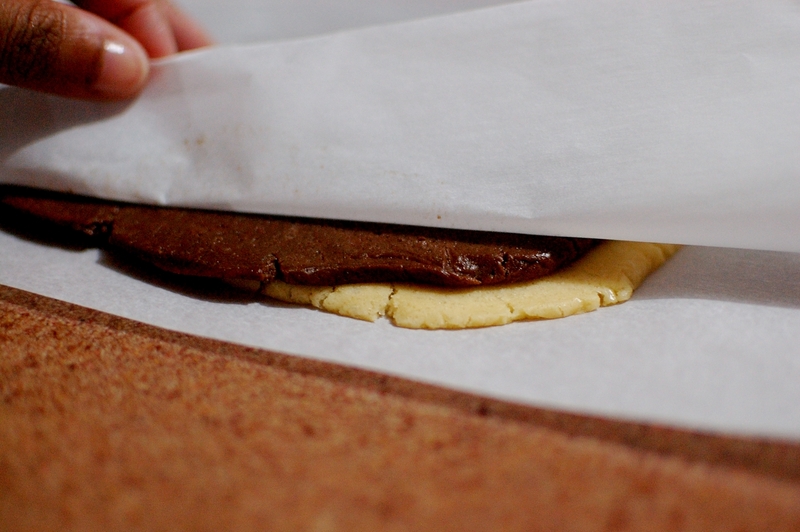 Divide each dough into three equal pieces, so as to have 3 chocolate and 3 vanilla. Shape each piece into a 5x5 square on wax or parchment paper, top with another piece of wax or parchment and refrigerate for 30 minutes. 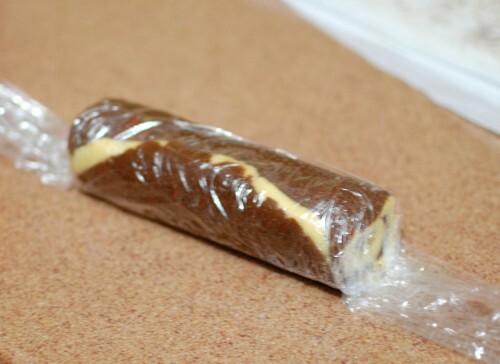 Roll each square into a 7x7 square and refrigerate for 15 minutes. Take one vanilla square and one chocolate square and remove one piece of waxed paper from each. 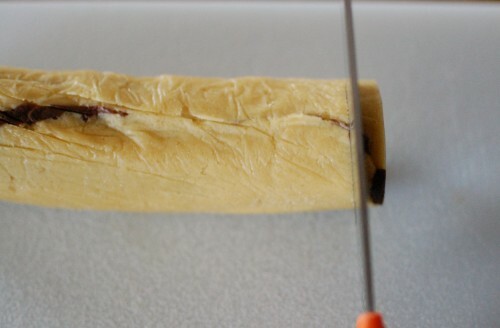 Align the two layers together evenly, one on top of the other, and gently press together to seal both layers together. Take off top layer of wax paper and slowly start to curl edge of the dough up and over using the bottom waxed paper for help, not rolling it into the cookies. 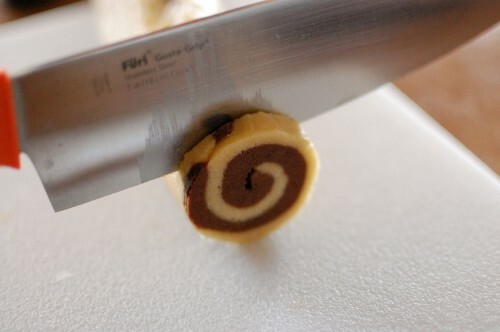 Roll the dough into a tight spiral roll, pinwheel, avoiding spaces in-between. 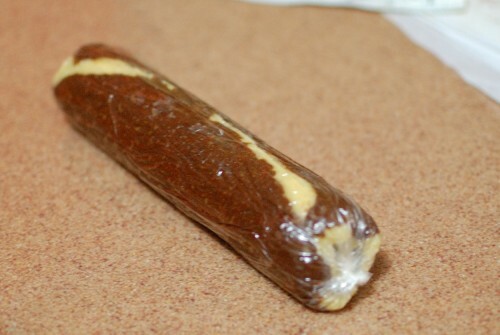 Once formed, gently but firmly roll back and forth to compact the roll and make it about 9 inches long, 1.5 inches thick. Place on a piece of plastic wrap, twisting ends to seal it closed. Refrigerate for 3 hours before using or freeze for two months. 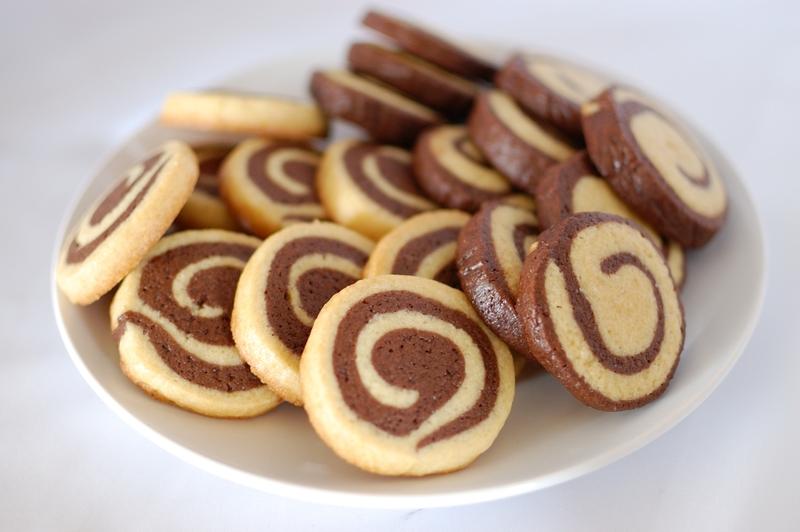 To bake, preheat oven to 350 F. Line baking sheets with parchment paper and slice cookie log into ¼ inch thick cookie slices. Bake for 14 minutes and transfer warm cookies to baking rack. Store for up to two weeks. 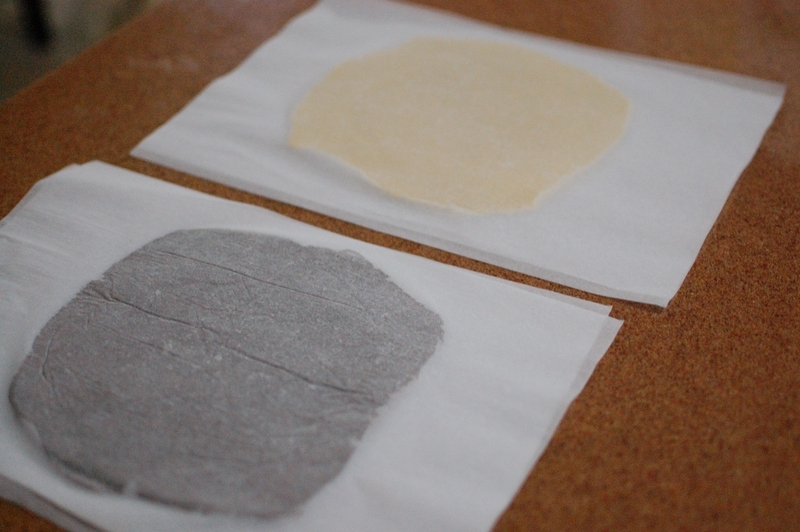 I used parchment paper because I didn’t have any wax paper and it worked just fine for me. If your layers don’t align perfectly after rolling the square into the bigger 7×7 or once rolling them together, don’t worry about it. They will still have the pinwheel look. Once you wrap it in saran wrap, press the edges firmly in to close any gaps that may have occurred. My end cookies looked a bit crazy once baked but that was just 2 cookies out of the whole log. I love this recipe too Candice! Hi Rose! The conversion to grams of butter for the recipe is 283.51. They will turn out delicious! Hope you love them Rose! your receipe is very interesying and look delicious. im excited to try it. but can you give me the measurement for butter , sugar and flour in gram unit…. 283.51 Grams of Butter, 251 Grams of Sugar, and 384 Grams of Flour. Hope this helps Aizan! Sorry they didn’t turn out for you Elva, I have never had a problem with this recipe. 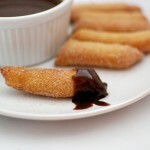 I add the chocolate warm, not hot, so that it is still workable. Maybe your measurements weren’t accurate? Hope it works next time! If I want to do strawberry how do I flavor it? I have never tried it, but maybe some strawberry extract or strawberry jam. Just replace the melted chocolate and coffee with the jam. Add some red food coloring if needed for a stronger color. Hope it works out! 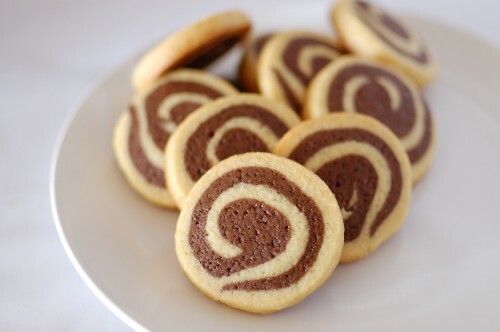 Can you please tell me where can I buy order pinwheel cookies.